I’m pretty excited about this episode because it’s just jammed back with all kinds of fun stuff! 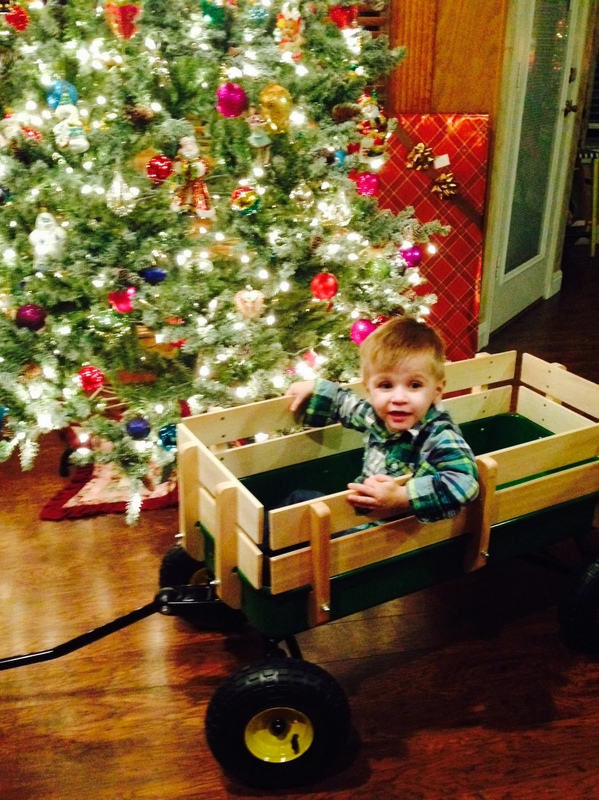 (image right: my Grandson Joey excited about his new wagon!) First, Genealogy Gems Contributing Editor Sunny Morton will be here to announce our new Book Club read for this first quarter of 2015. And it is fantastic! Even better, the nationally acclaimed author who wrote it will be joining us on a future episode to give us the back story. Then, since it is January that means that a lot of television shows are ramping back up, and one of those is the Genealogy Roadshow on PBS. And not only will it be back with new episodes, it will also feature a new addition to the panel of hosts. 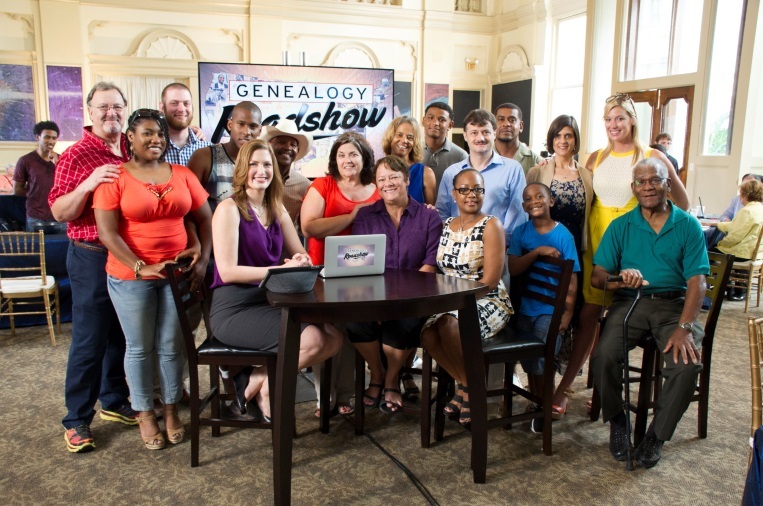 Professional genealogist Mary Tedesco is joining Genealogy Roadshow and she will join me a little later in this episode to talk about her experience on the show and also about her specialty which is Italian research, which I couldn’t be happier about since we haven’t had a chance to delve into Italian genealogy until now. 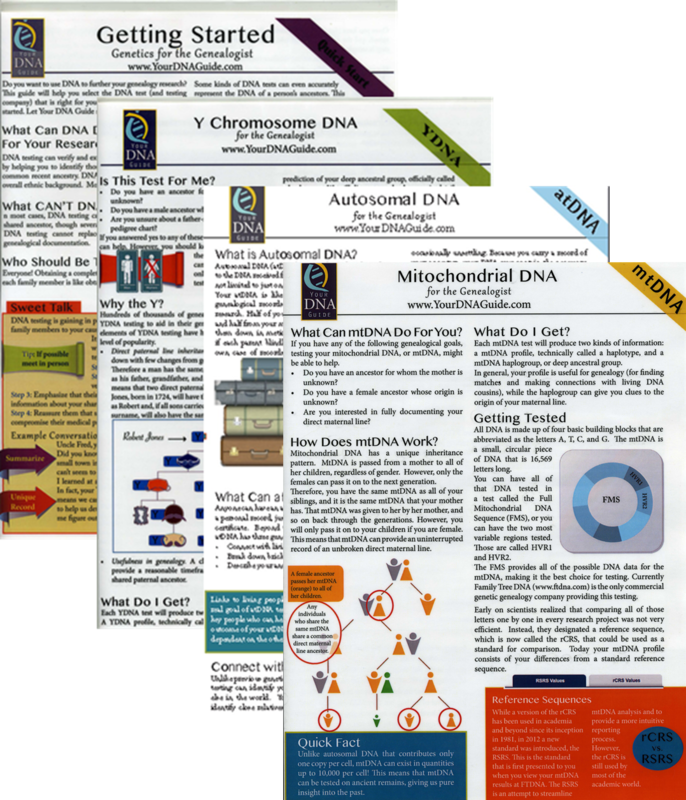 Our Genealogy Gems DNA Guide will also be here. And I have a very special announcement for you at the end of the show. From Cindy:"One of the most fascinating epitaphs I've ever seen is in Monticello, Florida. It reads, "Remember reader as you pass by, as you are now so once was I, as I am now so you shall be, prepare for death and come with me." The date of death was in the 1880s. The tombstone is made of metal instead of stone." From Jan: "Most memorable epitaph to date: In Memory of Elizabeth Palmer who should have been the wife of Simeon Palmer who died Aug 1776. This in the Old Commons Cemetery, Rhode Island." "What an amazing, heartbreaking - yet somewhat uplifting - story. I feel compelled to share a similar struggle on my family tree - it is a bit long (for all of the details, I would advise reading my blog at www.burgessgenealogy.wordpress.com), but the shorthand version involves my great-great grandmother being widowed by the Spanish Influenza, and her children being taken from her by a corrupt politician, who uses his connections to incarcerate her in an insane asylum to gain control of her late husband's property and mineral rights. She survived it, miraculously, and went on to live a happy life, even getting to see her great grandchildren being born. My grandmother told me that her father was forever changed by what his mother endured, but he was the most forgiving man she'd ever met. It reaffirms your statement that bad things may happen, but you don't have to let it determine your outlook, your path. Much love to you and your family for overcoming and living out a legacy that recognizes the struggle, and the acts involved in overcoming." Our last featured book, She Left Me the Gun, was a memoir by a woman raised in England who researched her South African past. This time, we fly across the pond to the new world, to a bestselling U.S. novel, Orphan Train by Christina Baker Kline (image right). Orphan Train is one of my favorite books. I’ve read it twice and recommended it more times than I can count. I thought a lot about whether a genealogy book club, which is based on researching real history, should incorporate novels. But genealogists are three dimensional people; we’re not all fact and no fun, right? I have loved historical fiction from the time I read A Proud Taste for Scarlet and Miniver by EL Konisburg. It’s a kid’s chapter book about the life of Eleanor of Aquitaine told from her point of view as she and the cast of characters from her life were sitting on a cloud in heaven waiting for her husband King Henry II to get into heaven. That novel bred in me this love for re-imagined history, in which the stories and lessons from past lives are repackaged in a way that’s meaningful to us, in a way that we’re willing to listen to. But back to Orphan Train. I’m guessing that many of you have already read it and loved it—if you have, raise your hands on the Genealogy Gems Facebook page and tell us so! If not, here’s a teaser for you. Orphan Train follows the story of Vivian, who as an Irish girl immigrant with another name entirely loses her family and is forced to ride the orphan train. What was the orphan train? It was an early, special urban brand of foster care in which homeless or neglected children were gathered up and put on trains out to the country. They advertised ahead of time their stops in little rural railroad depots, where essentially the children were lined up and local residents could come pick up kids and take them home. Essentially the children were advertised as free labor sources for farm families. So, Vivian rides the orphan train and we follow her childhood through some challenging placements with a few families and then into young adulthood when she is still trying to pin down an identity for herself. Then we move ahead in time. As a 91-year old woman, Vivian meets Molly, a teenager in today’s foster care system. Molly comes to Vivian’s home to help her clean out her attic because she’s gotten in trouble and needs community service hours. Molly thinks this old lady has nothing in common with her, not knowing anything about Vivian’s own trials as an orphan rider. So what makes this a good read for family history lovers? The core of the story is about family identity. Both these girls were separated from their families at a young age—they were told their past wasn’t good enough and they were re-booting their lives from scratch. You can’t do that to a person without serious consequences to their psyches. This book reminds me how important it is that each of us has a storyline from the past that existed before we were born, and brought us to who we are today. It’s perilous to break that story up or to be ignorant of it. The author spent a lot of time with the real stories of people who have lived in foster care or who rode the orphan trains, so the feel of the book would be authentic and real even though it’s not wholly factual. The orphan train history is so fascinating itself and this is a great way to be introduced to that chapter in history—which I have read is not limited to the U.S. I have read that about 100k children rode orphan trains in Canada, too. 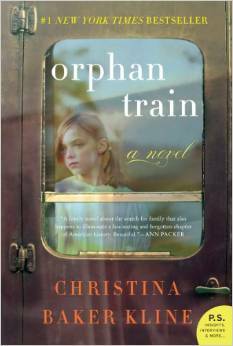 Read the Genealogy Gems Book Club Book for 1st Quarter 2015: Orphan Train by Christina Baker Kline. Next month Sunny will be back with a few more suggestions for fun things to read and a teaser from the book, and then in March we’ll have an interview with Christina Baker Kline. Thursday, January 1st. The place where many of our ancestors first stepped ashore when they came to America seeking a new life opened on this date in 1892 — Ellis Island in New York Harbor. The very first immigrant processed at the new facility was a 15-year-old Irish girl named Annie Moore. Over the course of more than 60 years, some 12 million people flowed through the center. Some sources say the number is considerably higher. The peak year was 1907, when just over a million immigrants came to Ellis Island. The complex now belongs to the National Park Service and is visited by several million people a year. In 1910, the foreign-born represented nearly 15 percent of America’s population. Now, after falling through 1970, that figures sits at 12.9 percent. 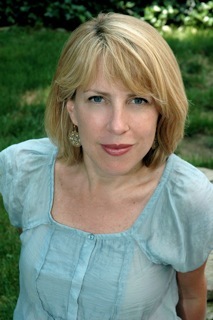 Mary M. Tedesco is also the founder of ORIGINS ITALY at originsitaly.com, which is a firm specializing in Italian and Italian-American genealogical and family history research. She speaks fluent Italian and travels often to Italy where she conducts genealogical research and visits family. I am a huge proponent of the Chromosome Browser as an essential tool in genetic genealogy. I do agree that it should be a part of any genetic genealogy experience. I have been in meetings with Ancestry and they do have their reasons for not providing one, with privacy being paramount in their minds. The idea that we can have quick and relatively inexpensive access to our ENTIRE genome is a daunting thought. We can't possibly know what will lie ahead in the many industries implementing this amazing scientific advancement. Ancestry is just trying to be forward thinking. I too feel that this makes them seem like an overprotective parent that keeps their child in the house at all times behind two padlocked, steel-enforced doors, just so they won't wander out into the street and get hurt. And it is very frustrating. But on some level I do understand their perspective. They have a VERY long term perspective. They are planning and thinking about where this technology will be in 5, 10, 15, 20 years. At that time will will surely have moved away from the SNP testing we are doing now to full genome sequencing. At that very high level of comparison there will be many things that a chromosome browser could reveal about our health. I think with the implementation of DNA circles Ancestry is trying to implement tools in the areas where they are comfortable, and actually capable. Yes, they are making mistakes. But so are the other testing companies. Yes the trees are flawed. They did release the DNA circles as Beta. I too have ready many concrete accounts of how this tool is making mistakes. But they are in uncharted territory here. No other company is trying to so fully integrate traditional genealogy with genetic genealogy, and there is something to be said for that. And, you will probably agree that one of the biggest frustrations with any testing company is getting people to post their family trees and/or respond to your inquiries about their family trees. By making inclusion in the Circles contingent upon having and linking your sample to a family tree (even a flawed one) it does encourage more people to post public trees. Of course, it does completely ignore anyone without a family tree- again, frustrating. Talk to Diahan about DNA Consulting. NEW! Mitochondrial DNA for Genealogists. at a very special price. Completely updated with loads of new content! 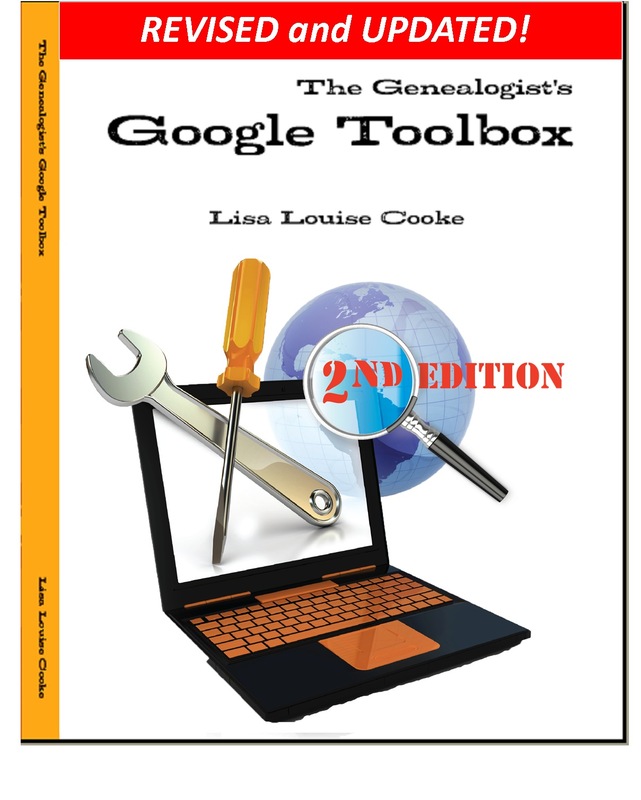 Everything you need to know to stay up to date on using Google for your family history.